Several years back, I met with a local economic development commission seeking their help to encourage associations to relocate to our community. I reminded him (and the other commissioners) that association employees do pay taxes and do generate business! 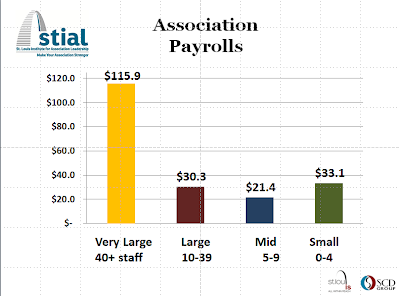 So, I was pleased that the St. Louis Institute for Association Leadership (STIAL) asked to conduct an economic study of associations based in the St. Louis region. STIAL released those results yesterday at a Breakfast Briefing. Nearly 500 local, state, regional, national and international trade associations and professional societies based in the St. Louis area generate a huge economic impact for the region according to a new report. These not-for-profit organizations employ more than 2,800 professionals and have annual payrolls of $200,700,000. The budgets of the 461 associations total almost three-quarters of a billion dollars ($703,964,588) according to a STIAL survey and analysis of IRS tax returns. 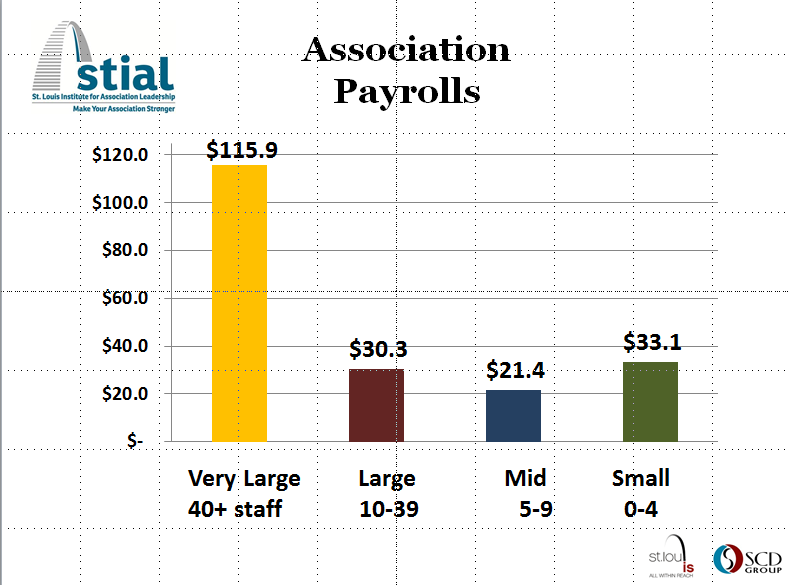 Nearly 1 million (830,270) people belong to one or more of the St. Louis based associations. Most of these recognize St. Louis as the headquarters of their association. The St. Louis Convention & Visitors Commission partly funded the study which SCD Group Inc. conducted for STIAL.